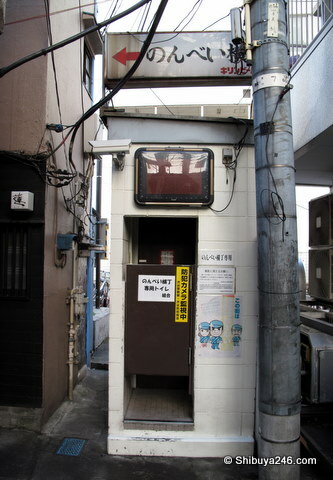 Although Shibuya is one of the major shopping/entertainment districts in Tokyo and the area around the station is fairly well built up, there are always some interesting places you can find that seemed to have got lost in a time warp. 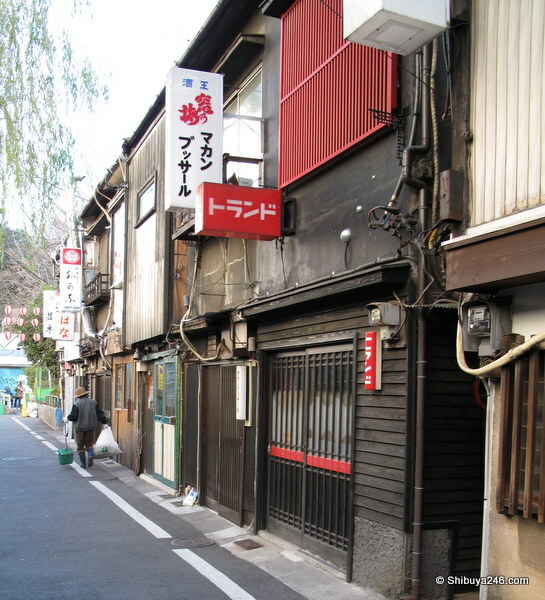 Only a minutes walk from the station exit and directly next to the train tracks is Shibuya’s Nonbei Yokocho (のんべい横丁). 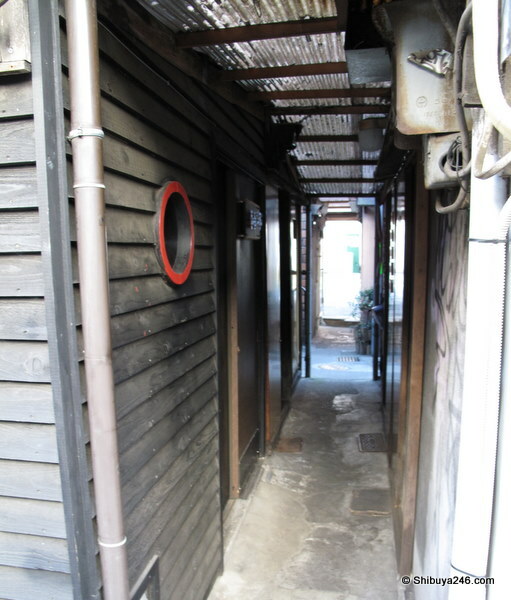 Whilst some of the bars have had some renovations recently, others still look like they haven’t been upgraded since they were built around 50 years ago. The area is very short on space and the bars are crowded in on top of each other. You have to wonder whether the fire department have practiced special drills for this area since the buildings are so close. The toilet didn’t look quite so modern but it too has a camera attached with warning stickers about police surveillance. It is probably wrong to describe the stores as bars. Most of them serve food and drink. The food may be something like oden or snack food that goes easily with the drink. 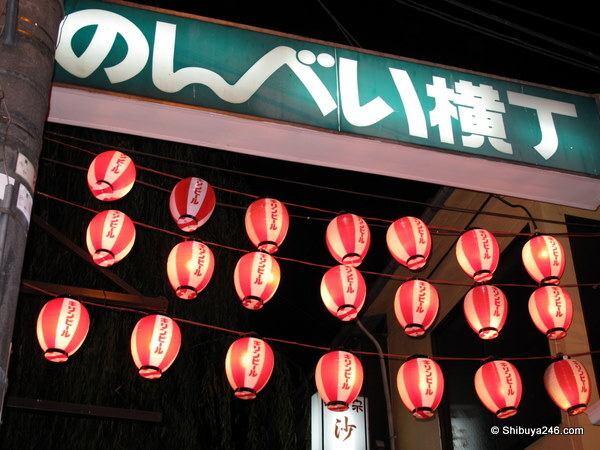 The style is very similar to the old yatai style. 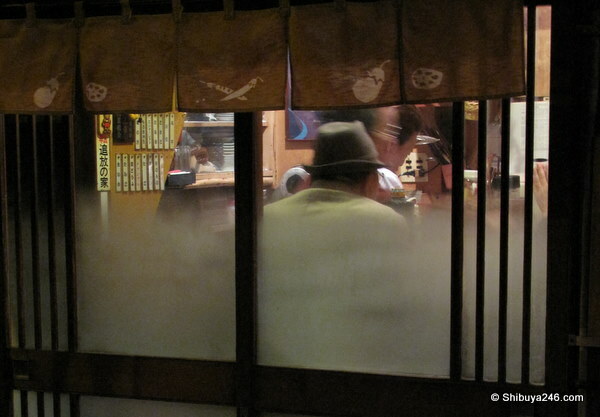 If you are in Shibuya and want to try something different, why not drop in to Shibuya’s Nonbei Yokocho and return to the past for a few hours over a beer and a meal. Editor’s Note: Don’t mistake the toilet for a tardis like time machine! Thanks Plutarch. Nice to have you drop in.